This off-grid home is powered by a WH500 wind turbine on a nearby hill, 1000 watts of solar panels, 6.0kW XW Inverter and backup power is provided by an Onan 12kW propane powered generator. 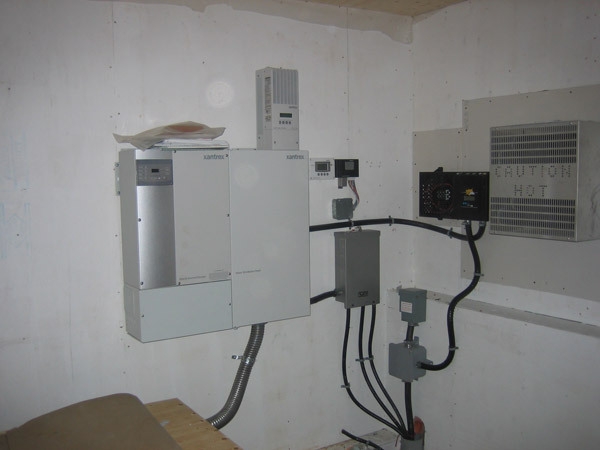 In the picture below, the shiney box on the left is the inverter attached to a wiring box, the charge controller sits on the box. 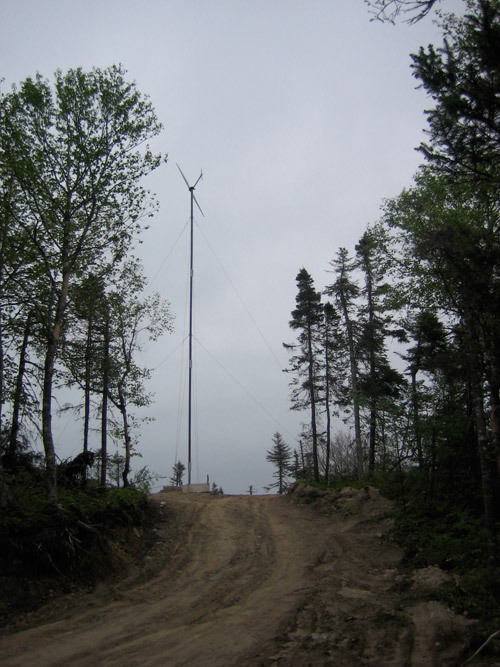 The device on the right is the wind turbine controller and dump load.